When it comes to foot and ankle problems, there is no better place to receive care than Panorama Orthopedics & Spine Center. We have the largest orthopedic foot and ankle team in Colorado and within the Rocky Mountain region, with four board-certified and fellowship-trained orthopedic specialists. Our specialists are uniquely trained to diagnose and treat all acute injuries and chronic conditions of the foot and ankle, in young children and teens, as well as in active adults and seniors. Panorama’s physicians have undergone years of orthopedic residency training, including fellowships in foot and ankle reconstruction. Their experience makes them specially equipped to treat any condition from the toes to the knee, including complex foot and ankle deformities, sports injuries, arthritis, cartilage injuries, bunions and hammertoes. A common misconception is that when you see an orthopedic foot and ankle surgeon you will be discussing surgery. This is not true! In most cases, surgery is a last resort. In fact, fewer than 10 percent of Panorama patients who see an orthopedic foot and ankle specialist go onto surgery. We have many conservative treatments available. Some of these include: bracing, modifying footwear, orthotics/ inserts, physical therapy, injections or medications. Some patients may also benefit from protection within a boot or a cast. If surgery is necessary, we offer advanced options at facilities that specialize in orthopedic care. Golden Ridge Surgery Center and OrthoColorado Hospital are the only orthopedic specialty facilities in the region, providing orthopedic-specific physicians, nurses and care teams. Foot and ankle specialists: Should I see an orthopedic surgeon or a podiatrist? This is a common question. In addition to orthopedic surgeons, you’re probably familiar with podiatrists, who can also treat foot and ankle conditions. But you may wonder who to see for your care. One misconception is that people often see orthopedic foot and ankle doctors as surgical care providers versus a podiatrist, whom they associate with non-surgical foot care. Both specialties, in fact, do surgery and sometimes podiatrists perform more surgeries than orthopedic surgeons. Another common misconception is that your problem is too small to be treated by a foot and ankle surgeon. This is not true! Our doctors specialize in providing care for common foot conditions such as, toenail problems, neuromas, hammertoes, bunions, plantar fasciitis and diabetic foot care. The difference is that when conservative treatments fail, foot and ankle doctors are trained to provide the next level of advanced surgical care. Orthopedic foot and ankle doctors take a more comprehensive approach to treating foot and ankle conditions. With their extensive orthopedic training and education, they are uniquely equipped to address both simple and complex problems. Even when you see an orthopedic foot and ankle doctor, it does not mean you will be discussing surgery. In most cases, surgery is a last resort. In fact, fewer than 10 percent of Panorama patients seeing our orthopedic foot and ankle specialists ultimately need surgery. Ankle replacement is a very unique procedure and is not commonly performed. 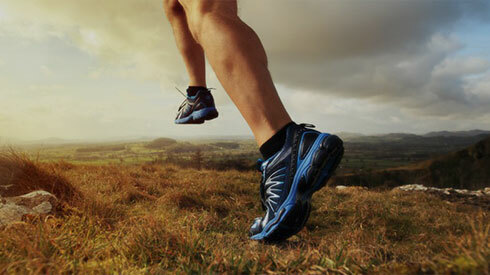 Panorama Orthopedics is a center of excellence for ankle replacement. Foot and ankle doctors here perform more total ankle replacements than anywhere else in the Rocky Mountain Region. In fact, our doctors perform, four-times more ankle replacements than anywhere else in Colorado. Ankle arthritis is rare and it is usually the result of an injury or the result of cumulative trauma that results in arthritis in the ankle. Candidates for ankle replacement are usually treated conservatively to start – utilizing anti-inflammatory medications, cortisone injections, occasionally bracing. When these conservative options fail to provide adequate pain relief, then the surgeon may look at arthroscopic surgery to clean out the arthritic joint or ultimately ankle fusion or ankle replacement as options to relieve pain. Both ankle fusion and ankle replacement are good pain-relieving operations. A fusion can give permanent relief, but can result in stiffness or arthritis in the surrounding joints of the foot, because the other joints compensate for the fused joint. This can eventually lead to arthritis in the other joints. Ankle replacements have come a long way in the past fifteen years. Today, replacements allow for better range of motion and a more normal gait than a traditional ankle fusion. With a replacement there is less chance for arthritis to set in because it does not place undue stress on the other joints. If you have painful bunions, there is a new, patented treatment option that aims to fix the root cause of the bunion and can often times have patients walking again within days of the surgery. Lapiplasty 3D bunion correction is the newest way to address and repair bunions. Dr Desai is offering this exciting, new treatment option which does more than simply remove “the bump”; it addresses the bunion in three dimensions to correct the root of the problem. Advanced fixation technology is used to secure the correction in place, allowing patients to walk within days of surgery. Sometimes traditional surgery has failed to get to the true source of the problem – a 3-dimensional deformity caused by an unstable joint. This is why sometimes people who have had traditional surgery have had their bunions return. With the new 3D bunion correction procedure, instead of cutting the bone in half and shifting the top part over, the patented Lapiplasty® Procedure uses specially-designed instrumentation to rotate the entire deviated bone back into its normal anatomical position, naturally straightening your toe; removing the “bump” and associated pain. Innovative titanium plating technology permanently secures the unstable foundation, the root of your bunion problem. Most patients are able to walk within days of surgery. No cast is required; allowing patients to get back to the shoe wear of their choice and activities quickly. If bunions are limiting your activities and lifestyle there is help! Bunions can be very painful. With each step, your entire body weight rests on that bunion. Ouch! A common misconception about a bunion is that it is an overgrowth of bone that can simply be “shaved off”. In reality, bunions are complex deformities caused by an unstable joint. The patented titanium plating technology used with the Lapiplasty®Procedure enables patients to bear weight on their foot early.1 The ability to do so can dramatically improve your recovery process, allowing you to walk up to 6-8 weeks earlier than with the more traditional Lapidus approach (which was previously the only option for addressing the unstable joint). Being able to walk in a surgical boot, as opposed to being completely non-weight bearing (in a cast with scooter or crutches) for 6-8 weeks, means that you will be getting back to a better quality of life faster; may return to most occupations more quickly; and will be less inconvenienced by bunion surgery. Patients are typically walking within days of surgery. Patients can return to most occupations within days to a couple of weeks, wearing a surgical boot. Within six weeks, you can expect to be walking in comfortable shoes such as tennis shoes, however you should not plan on any high-impact activities for 3-4 months. Short shopping trips and leisurely strolls are examples of the types of activities that should be fine at this point. Around the 4-month mark post-op, you should be able to return to most activities and most shoe wear. The Lapiplasty® Procedure allows most patients to return to their desired shoes. Of course, some fashionable shoes can be painful (even with a normal foot! ), so results can vary from person to person and shoe to shoe. Yes, there are no permanent activity limitations after the Lapiplasty® Procedure. Most patients are able to return to most activities after the bones have completely healed at approximately 4 months. Yes, the Lapiplasty® Procedure is an option that can be utilized by your doctor when a revision is required. Even if previously treated, patients can experience the same benefits from Lapiplasty® – with a permanently secured foundational joint this time around. “Reproducible” means that a procedure is easily repeatable with expected results. The Lapiplasty® Procedure utilizes precision, patented instrumentation designed to take the guesswork and “eyeballing” out of bunion surgery; helping ensure your surgeon can get reliable results over and over. Osteoarthritis is a disease that can affect every joint of the body, it leads to a breakdown of the cartilage cushioning in the joint. This wear and tear can cause chronic pain, stiffness and swelling, eventually causing those affected to stop doing the things that they love for fear of making the pain worse. When this pain occurs in the joint of the big toe, it is particularly obstructive. Osteoarthritis of the big toe joint or MTP joint is the most common site of arthritis in the foot and can cause pain every time you take a step. It can be caused by injury, stress to the joint, or natural imperfections in the joint. The pain can sometimes become so severe that people are no longer able to walk. What Are the Treatment Options For Big Toe Arthritis? 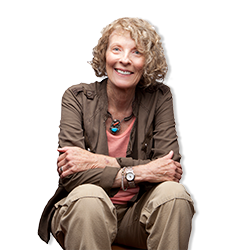 Fortunately, there are many treatment options when it comes to big toe arthritis. The first step to finding a solution is talking with your doctor to have your condition assessed. They can provide medications or splinting that may help. If your doctor decides that your condition would be served by physical therapy, you may begin a regimen with a physical therapist on top of medication or a system of cooling and heating to reduce the pain and inflammation in your big toe. If you are still in pain, you doctor may send you to see a specialist. The foot and ankle team at Panorama offers the most comprehensive set of non-surgical and surgical options to solve big toe pain. Among the most common are injections to reduce pain and inflammation and surgery to resolve the cause of your pain. If surgery is necessary, your options at Panorama include traditional procedures, such as a fusion or joint replacement, as well as, the newest option, a Cartiva implant. Cartiva is an FDA approved synthetic implant that mimics cartilage in the big toe joint – replacing the cartilage that has worn away due to osteoarthritis over time. The implant feels similar to contact lenses and looks like a little, round, clear marshmallow. It is durable implant that is designed to not cause systemic irritation, and it is capable of withstanding repetitive loading in activities such as walking, running and jumping. The procedure to get a Cartiva implant is covered by insurance and only takes about 30 minutes. and recovery begins immediately after surgery. With a Cartiva implant, swelling, stiffness and pain are reduced and flexibility is restored to the big toe. With the help of a physical therapist and the doctor patients are commonly back to your normal activities within 6 weeks. If you are interested in Cartiva or any other solutions to your big toe joint pain, call for an appointment with one of our foot & ankle experts today. Chelsea Bates, PA works on the Foot & Ankle Team. Evan Glover, PA is returning to Panorama after completing PA school which she just finished at Case Western Reserve University in Cleveland, OH with her Master of Physician Assistant Studies. After three years as a PT tech at Panorama, Evan decided to complete her training to become a PA.Prior to working for Panorama as a PT tech, she worked as a ski instructor for Keystone Resort for 10 years and graduated from Colorado State University with a Bachelor of Arts in Integrative Liberal Arts. Evan now lives in Golden and loves all things outdoors. She works on the Foot and Ankle team with Dr. Deol, Dr. Murken and Dr. Conklin.